Instead of purchasing generic mouthguards from a store when your child is about to begin practicing for their contact sports, consider having one custom created by Justice Dental. Studies confirm that your child’s risk of a sports related concussion can be significantly reduced with the use of a custom made mouthguard from your Lexington, Kentucky dentist. Helping your children take care of their teeth can set in motion a series of good habits that can carry over into their adulthood. Learn more below! Everyone has probably ground their teeth at one time or another. However, if you’ve woken up more than once to find your spouse’s ears plugged, your teeth grinding may be a bigger issue than an annoyance to your sleep partner: it can adversely affect your health. With Thanksgiving right around the corner, Justice Dental has a few tips to keep your teeth healthy during this wonderful feasting holiday. Everyone knows and loves the quote, “Laughter is the best medicine,” but did you know that smiling really can boost your mood and even your immune system? Adolescence is the time of peak bone growth, a time when more nutrient-packed calories are essential to fuel growing bodies and strengthen teeth and bones; however, with our current lifestyles, adolescence is when soda and sugary, high-carbohydrate foods displace healthy foods such as milk, fruits, and vegetables. The seasons are changing, the air is getting cooler, and we’re nearing every kid’s favorite holiday… Halloween! Who doesn’t love dressing up like their favorite character and getting pounds of free candy? Of course, we mean other than you worried parents out there. Read our dental tips below! Julie Revelant’s article about how to calm your child’s dental fears has some great advice! 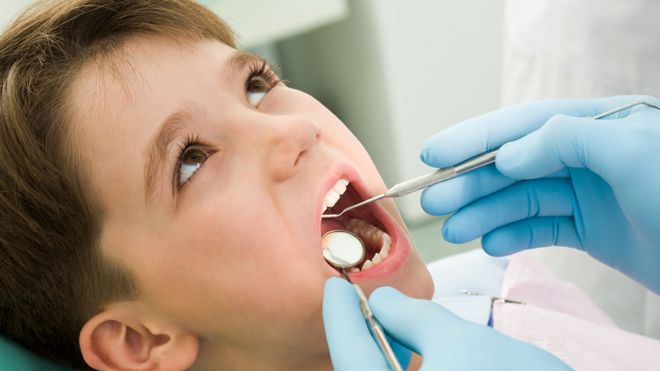 Discover how to make your kids comfortable and even excited for the dentist!